I think I wrote previously about my change in federation from representing New Zealand to England. Why did I do it? Well, for several reasons. Last year I had some goals about my chess, I wanted to play more, get better and learn! I have played more and I think I’m now a better player but the “chess work” has been minimal. I also felt that if I continued to play for New Zealand there was no incentive for me to work on my chess. That, and the fact that I don’t hang out with the “kiwis” much any more as I’m normally with Ga and I think it would be nicer if we were playing for the same team. Location wise it also makes sense to be able to participate in strong tournaments within the EU such as the Women’s Individual and the team events. In New Zealand there is also little funding for chess. In most cases we had to pay the cost of our flights and then we would get some money partially refunded if grants came in but in England your flights are at least covered. Why have I started to write about an old topic? Well the other day I was looking at flight to go back home (saying that sounds natural) to New Zealand and then I was typing up prices of things and using the “$” seemed so unnatural. Last time when I was in NZ the money felt weird too and the coins were a strange size. Dad, Mum, me and Andrew nearly 18 years ago! 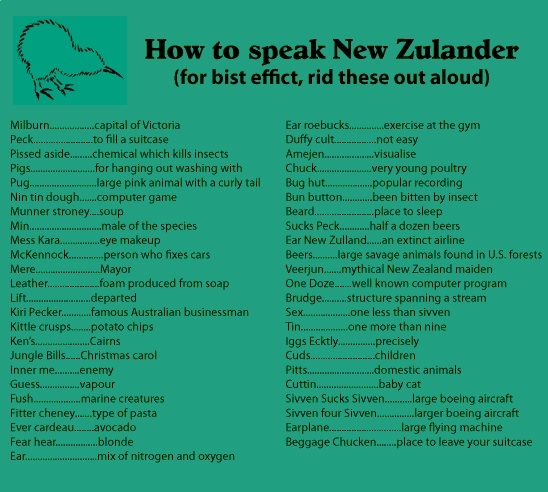 This got me thinking, am I now more “English” than “Kiwi”? I guess it depends who you talk to. Growing up I come from a mixed background – here when I have those forms to fill out I just tick ‘other’. 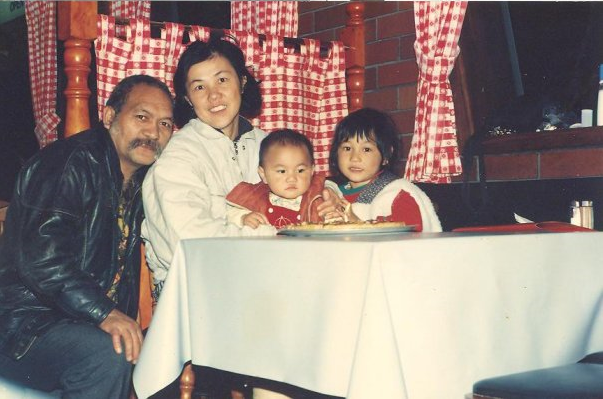 Ethnically, my dad is from the Cook Islands – Manihiki to be exact, population a little less than 230 and my mum is Chinese but born in Malaysia so Malaysian/Chinese. I therefore consider myself to be Kiwi, Cook Islander and Malaysian Chinese or Cookasian as my brother use to say. 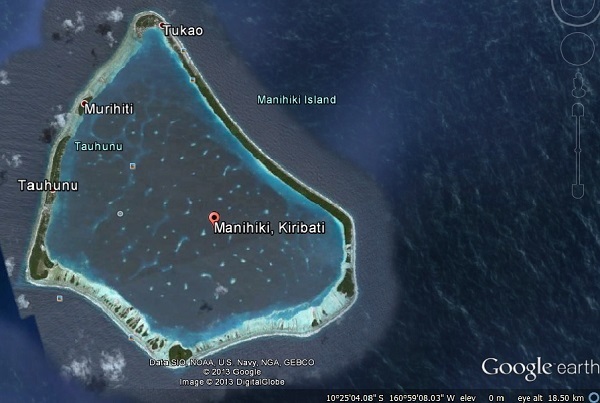 Manihiki also known as the Island of Pearls. A little atoll in the middle of the Pacific Ocean. So growing up I never had a strong “kiwi” accent and went I went to my International High School it got even less obvious and I pick up a slight american twang. Now that I’ve been in the UK for just over 3 years I do hear myself speaking with a pommie accent unless I say the word ‘New Zealand’, talk about ‘Aotearoa’ or am hanging out with other kiwis. Our good friend Bill of The Tarrasch Chess GUI fame reckons I sound like the Queen. Now I do admit my accent is more 60-40 English accented but I know I most definitely do not sound like Her Majesty. This reminded me of a friend from high school who was born in London to American parents, grew up in Hong Kong then moved to New Zealand to finish high school and start Uni. To all her Kiwi friends she sounded American and to all her American friends and family she sounded not. On the streets as a nanny a lot of Filipino nannies have spoken Tagalog to me assuming I’m from the Philippines and when I explain I’m from New Zealand there is that awkward realization. When Gawain and I went on a holiday to Thailand, we pretended that I was his Thai bride (holding onto him tightly and not saying a word) and no one bothered us. When I say I’m from New Zealand, people automatically assume Maori. I guess I should be pleased that they know something about our little corner in the world but I just kind of shrug and say “sort of”. Why do I say sort of? Well, Cook Islanders can refer to themselves as Cook Island Maoris but they are not indigenous in any way to New Zealand. My dad’s dialect in Manihiki is very close to the Maori language, practically like for like. But trying to explain to someone where the Cook Islands is is tough – I say something like “Do you know Hawaii?” and “Do you know New Zealand?” in the middle of that in the Pacific somewhere. I think my conclusion now is that I’m a Londoner instead of being “English” or “British”. It was a huge shock to the system when I was rejected for my visa and I cried. It was a terrible time but that is all over for now and I’ll have to re-apply in 2 years time. So I’m now Kiwi/Cook Island/Malaysian/Chinese/Londoner! « World Cup Exit and another Zero Tolerance Controversy.